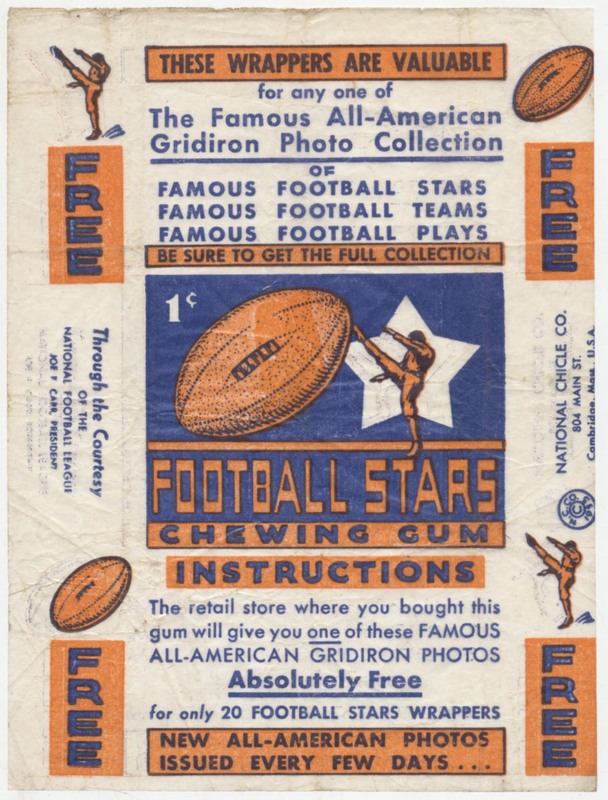 Vital wrapper from one of the ultimate football sets, these do not come around very often. The offered wrapper has no tears or technical flaws and good color. There is some fine creasing in spots, the edges are all crisp. You almost have to add this to a nice 35 Chicle set!